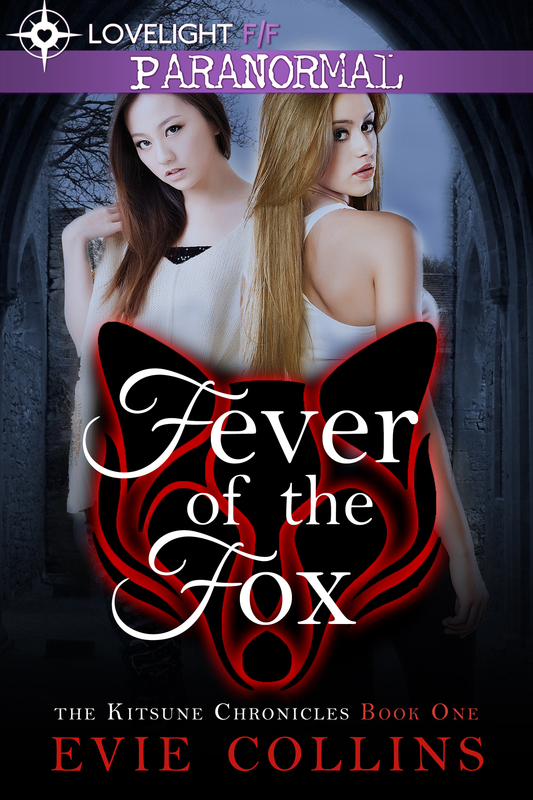 My new book, Fever of the Fox, was an idea that sort of came to me through the characters. Growing up, I lived in an area that was essentially a melting pot of many different cultures, with friends from all sorts of different backgrounds. One on my closest grade-school friends was a Japanese-American girl whose house was like this amazing shrine to her parent’s homeland. I used to love going over there to play with her, especially outside in their beautiful garden. There was this cool little statue of a fox that I remember looking at a lot. For some reason it always stuck out to me, but I never asked my friend about it. Fast forward to now, I was thinking of trying to bring in the supernatural element into my very first LGBTQ book, but I was stuck. Wolves, bears…all of those were pretty commonplace and I wanted to do something different and not necessarily your average shifter title. I already had Tai and Jessa (my two main characters) dreamed up in my mind, so now I just had to think of the supernatural element. Knowing that Tai was going to be a Japanese-American girl, I wanted to try and bring some of the Japanese culture to life in the book and that’s where the kitsune came in. I did some research and found out a lot of interesting things on Japanese folklore, especially the legends surrounding the kitsune, which is roughly translated as the “fox-spirit.” According to the lore, kitsune are similar to Western ideas of witches, in that they have special powers. They are primarily foxes but can possess people (generally thought to possess young, beautiful women), or they can shape-shift into one. Many believe that the creatures could live forever, and as they got older they grew extra tails so that at the height of their power they would have nine tails, and the only way to kill one was to cut them all off! The Japanese think of the kitsune-zenko as the good-spirited foxes, associated with the god, Inari. On the other hand, the kitsune is also known to be a trickster either mischievously or maliciously, and these types are referred to as nogitsune. What was funny was that I didn’t put two and two together until I recently caught up with my friend. We talked about my idea and she was over the moon – so excited that I chose the Japanese legend as I did. I brought up our playdates in the garden and she pointed out that the fox statue I used to admire was actually a good luck totem, a kitsune to help guard the garden from any wrong-doers. How crazy is that? As far as my book goes, I wanted to put my own spin on the legend, but deep down it is still very true to its roots. Hopefully everyone else will feel the same! Coming from a smaller town than most, Evie Collins always wondered if there were books made for women like her. After finally reaching the conclusion that there needed to be more out there for the LGBTQ crowd who also crave romance in their lives, she vowed to do something about it. Pen in hand, she began writing- drawing from her own experience as a lesbian woman. Having grown up in the northeast, she traded her snowy winters for balmy summers down in North Carolina’s lovely Outer Banks. To keep her company she brought her sweet daughter and her beautiful partner with her, hoping she’ll live out her days on the beach, and spend her nights cooped up and writing in her very own dilapidated beach house that will one day even have an office. Tai Murata’s dream is to be the next valedictorian in her class at Harington University, and thanks to her hard work that goal is finally within her grasp. With everything going her way she feels able at last to summon the courage to admit her true feelings to her best friend and room-mate Jessa. Jessa Conway is a free-spirited girl who’s ready to graduate and find out where the wind takes her. She’s desperate to escape the town she grew up in and the thought of getting stuck there terrifies her. Drawn to Tai in ways she cannot explain, her need to run is at odds with her desire to stay at Tai’s side.